On December 4, a motley crew of academics, explorers, and journalists will pioneer a journey which has been about five years in incubatio—following in the footsteps of the ancient Korean monk Wonhyo across the Korean Peninsula. 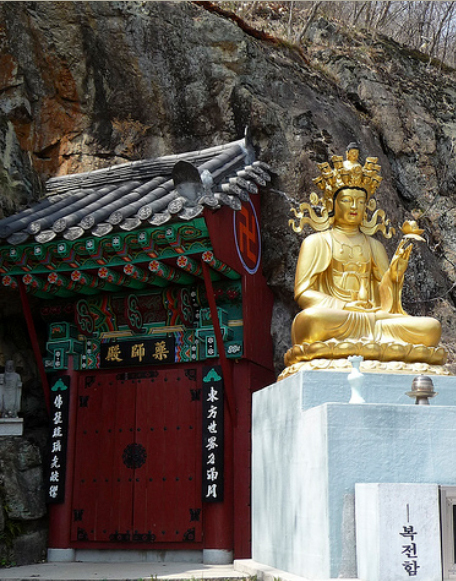 The pilgrimage is the first one of its kind ever undertaken in honor of Korea’s best-known Buddhist hero, who found enlightenment in Dangjin in the 7th Century while attempting to sail to China. 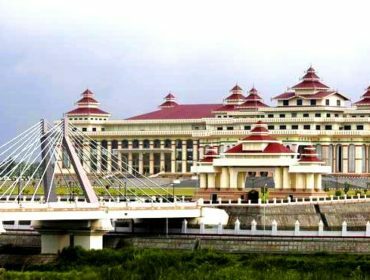 It will start from Gyeongju—former capital of the Buddhist Silla kingdom where Wonhyo lived, and end in Dangjin, on the west coast of South Chungcheong Province (south of Incheon). The pilgrims will travel mostly on foot along provincial roadways and mountain-trails. The idea was conceived about five years ago by Tony MacGregor, a Canadian journalist, at that time working for the Korea Times in Seoul. MacGregor, a student of Buddhism, was enthralled by the life-story of Wonhyo, a legendarily-unconventional monk, one of the Koreans’ most-beloved historic figures. When MacGregor talked to his colleague Chris McCarthy about the idea of the pilgrimage to honor Wonhyo, McCarthy, a veteran of several pilgrimages, immediately seized on the idea that they too could walk this route. “What better way to experience our innermost nature than to spend several weeks on the road together in the Korean countryside visiting Buddhist temples,” said McCarthy. And so in 2007 the first tentative steps of the “In the Footsteps of Wonhyo” project were taken. Wonhyo (617-86) was born into a simple family in the Silla Kingdom, and after his enlightenment became a great scholar for many years with more than 80 commentaries and essays to his credit. However, he then renounced the formal religious life to teach and inspire ordinary people. He was known to carry a gourd, dancing and singing around the country, encouraging people to chant and recite the Buddha’s name. He called himself “Muae-Gursah” (Unhindered practitioner). He even spent a night with a Shilla princess who then had a son that became a leading Confucian scholar. His philosophy centered on “oneness” or Ekayana, the interrelatedness of everything in the universe. Legend has it that this view arose from an event that took place while he was attempting to travel to China. That event is the focus of the pilgrimage. 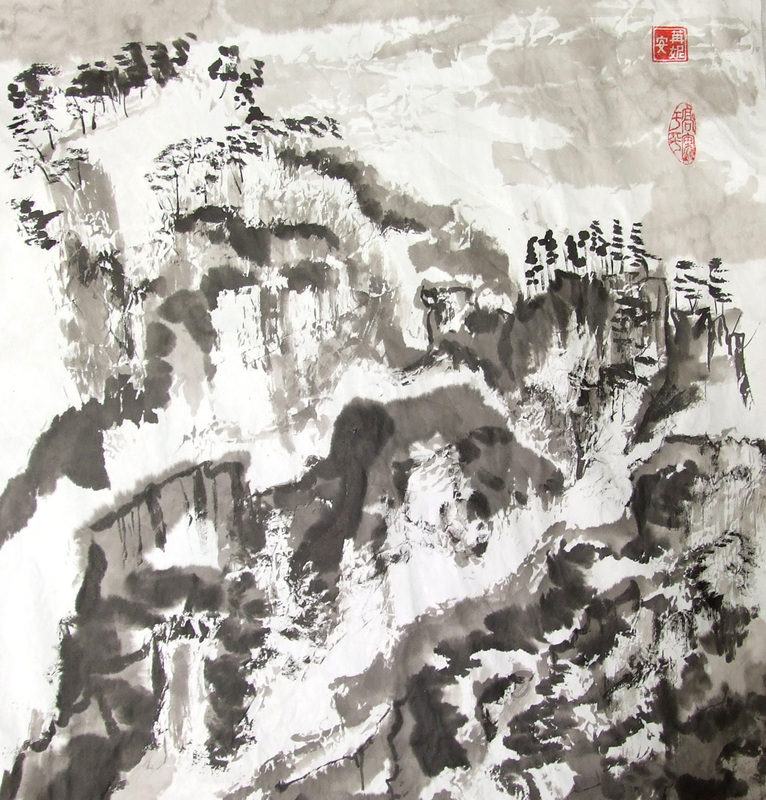 To reach China, Wonhyo journeyed with his friend Uisang to the port of Dangjugye, a town no longer in existence within present-day Dangjin County. On a dark night a storm drove Wonhyo and Uisang into a cave for shelter near Dangjugye. During the night Wonhyo was overcome with thirst and searched in the dark for something to drink. On the cave floor, he found what he thought to be a gourd filled with cool water and lifting it to his lips drank deeply from its refreshing contents. 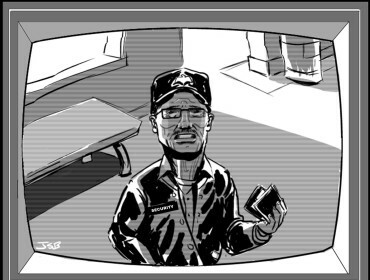 In the morning when he awoke, he looked for the vessel and was shocked. The delicious, thirst-quenching water of the previous night was dirty rainwater swarming with maggots that had collected in a rotten skull-cap. He fell to his knees and vomited and experienced deep inner enlightenment. He realized that our perceptions of and judgments about reality are entirely created by our minds. 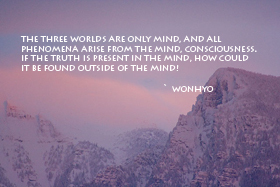 Wonhyo is reputed to have said, “The three worlds are only mind, and all phenomena arise from the mind, consciousness. If the truth is present in the mind, how could it be found outside of the mind!” Because of his experience and the realization of the importance of the inner journey, Wonhyo abandoned his trip to China and returned to Silla to study and teach. MacGregor and McCarthy took their idea to Professor David Mason, a mountain-hiker, author and expert on Korean tourism, history and traditional religious culture. Mason quickly threw his knowledge and abilities behind the project and laid out a trail connecting a series of landmarks associated with Wonhyo – temples he created, his hometown of Gyeongju and an educated guess at his place of enlightenment on the western shores of the peninsula. 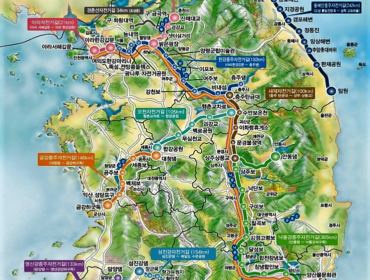 “I designed the pathways that the pilgrims will walk, and the route winds around through the mountains a lot of course — up past Juwang-san to Cheongnyang-sa, which features the largest extant temple that Wonhyo is attributed as founder of, then over across to the historic Mungyeong-Saejae Pass and down to Suanbo Hot Springs, then onwards across the Chungcheong region – so it’s much longer on foot than as the crow would fly” says Mason. Cave temple along the route. MacGregor said at one point the Korean government helped a great deal with the project – help that was much appreciated by the pilgrims. “But in the beginning this kind of project is better done by those inspired by Wonhyo’s spirit. If the pilgrimage becomes popular and detailed work is necessary, I’m sure the government will help again,” he hoped. “I’ve been working on upgrading Korea’s religious-pilgrimage tourism-sector for years, and the Wonhyo Trail is one great pioneering project. Hail to Tony MacGregor, this one was his ‘insanely-great’ idea, as I told him when he first brought it to my office. The burgeoning “Dule-gil” pathways surrounding great mountains also have excellent potential for this, linking-up the temples and shrines,” Mason wrote on a popular blog. The project team believes that Wonhyo’s teachings offer some simple assistance to the problems encountered in daily life. “The psychological benefits of meditation and good health through the simple process of putting one foot in front of the other is key to understanding the nature of a pilgrimage. It is about the journey,” said Watermeyer, who recently walked the Camino de Santiago in Spain, one of the world’s most famous pilgrimages. McCarthy said that the pilgrims are preparing to walk in the hardest season – winter. “This is purely because we can do the exploratory pilgrimage at this time. We will use whatever lodgings are available, and buy food along the way. We hope that by doing this, we can lead the way for future pilgrims and develop a guidebook for their use,” he said. A key facet of the “In the Footsteps of Wonhyo” project is storytelling. The pilgrims will entertain each other with stories and poems during the pilgrimage and at the end the journey bind them into a book, which will include a guide of the trail – a resource familiar to those who have walked the Camino de Santiago in Spain and other European pilgrim trails. “We plan to write about our experiences and entertain each other with stories and produce a kind of 21st Century version of “The Canterbury Tales,” said MacGregor. Written in the 14th century by Geoffrey Chaucer, “The Canterbury Tales,” a mainstay of university English literature courses, is still widely read in the English-speaking world. The book tells the story of a group of Christian pilgrims w ho meet in a tavern in London before their pilgrimage to Canterbury and decide to amuse each other on the pilgrimage by telling each other stories. The one who told the best story would receive a free meal. “Chaucer’s Tales not only entertain us. They open a window on life in 14th century Europe, revealing the values, the humor, the conflicts, the beliefs, dress, and way of life in England at the birth of European civilization. We hope ‘In the Footsteps of Wonhyo,’ a kind of 21st-century version of ‘The Canterbury Tales,’ will be equally entertaining and also offer future readers a glimpse of life today,” said MacGregor. Organizers hope to attract a Wonhyo scholar who will give brief talks on Wonhyo during the pilgrimage. It is also hoped that a specialist in “The Canterbury Tales” will give talks to the pilgrims. All those involved in the project hope this prototype pilgrimage-event will generate new interest in Wonhyo and his teachings and perhaps inspire others to make the Wonhyo pilgrimage or similar ones. In essence, the purpose of a pilgrimage is to help people let go of their daily burdens, and to dissolve boundaries. Our goal is not only to reach Dangjin and celebrate Wonhyo’s journey but to achieve some of the self understanding he achieved and help others to the same end. 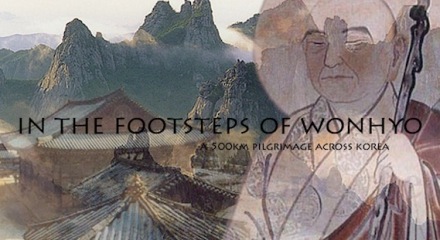 By visiting www.inthefootstepsofwonhyo.com supporters can contribute to the limited funds the project requires and discover the novel rewards that are being offered for their support. Editor’s note: 3WM will be running an in-depth story on the Wonhyo Pilgrimage before and after it takes place in December. Simon Phillips, one of the pilgrims on the Wonhyo journey, was first exposed to Buddhism on his first trip to the Himalayas aged 18. Time spent among the monks of the high mountains had a profound impression on him, which has stayed with him since. The ability to transcend one’s everyday life into realms seldom seen is a mystique which has called him ever since. Simon went on to study Buddhist cultures in remote Himalayan regions as part of a human geography and development studies degree at University. He spent two years in Korea and was touched by the essentially “untouched” nature of the grey monks here. 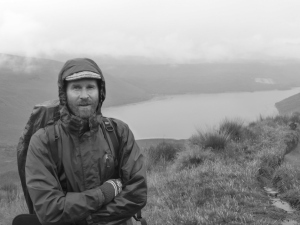 He says The Wonhyo pilgrimage offers those with a passion for wilderness the opportunity to simply walk unhindered by the confusion of life in urban zones. Through this simple act comes a chance to reflect, and essentially experience nature more instantaneously and in greater depth. In essence leaving behind clutter and freeing one’s mind.